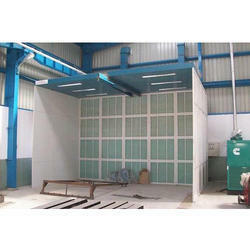 Leading Manufacturer of powder coating plant, powder coating booth plant and industrial oven from Ahmedabad. We are an eminent entity engaged in offering an extensive range of quality assured Powder Coating Plant. Following the industry defined guidelines, we manufacture the entire range by utilizing contemporary machines, modernize technology and prime grade raw material. This coating plant is extensively appreciated and demanded in the market for its unique features like high durability, high efficiency and long operational life. In tune with clients' diverse requirements, we offer the entire range in a wide range of specifications. 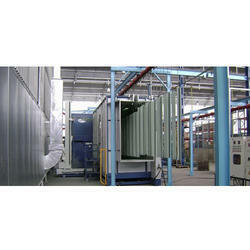 We are the top-notch manufacturer, exporter and supplier in this domain offering Powder Coating Booth Plant. The offered range helps in powdering the product, owing to the electrostatic forces existing during spraying. Our booth is manufactured using pristine-grade raw material and latest technology under the guidance of our skilled professionals. The range we offer can be availed at industry leading prices to our clients.